While the cryptocurrency market takes a bearish turn and most tokens go through record plunges, the blockchain technology does not stand still and continues to develop in all directions very rapidly. The gaming industry is also moving forward. After the success of PokemonGo and CryptoKitties, meet UnicornGo, a blockchain based online game with elements of augmented reality created by a solid team of developers in collaboration with genetic engineers. Just imagine, a beautiful fantasy world where you can become an owner of mythical creatures, the unicorns, buy plots of land, grow candy trees and participate in tournaments. Each unicorn is unique and has its own colour, character and abilities. This is achieved through gene crossing and inheritance of various traits by the next generation of unicorns. Unicorn owners will be able to predict offspring traits by selecting a partner with genetic attributes of interest, resulting in unique unicorns that can bring significant profits to their owners. Unicorns with higher attributes are very desirable on a marketplace as breeding partners, allowing its owner to set a higher price for siring. Users can buy unicorns using Ethereum or its own in-game currency, CandyCoin, which is already being traded on the ForkDelta exchange and will be listed on other exchanges in the near future. The tokens are based on Ethereum smart contracts, with a limited release of 12,000,000 tokens. But in nearest future, UnicornGo plans to move the game to the Universa blockchain, for higher speeds and almost zero transaction fees. CandyCoin is used on the in-game marketplace to buy/sell/exchange unicorns, plots of land, candy tree seeds to grow food for unicorns and other fairy tale accessories. 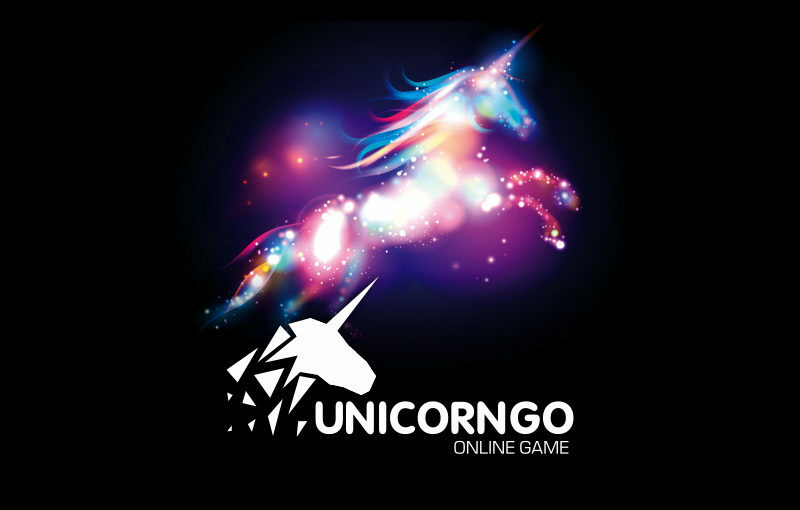 At the moment, users can buy the first generation GEN-0 unicorns on the game’s website play.unicorngo.io/. Sales of GEN-0 will last until 30,000 unicorns are sold, after which no new GEN-0 unicorns will ever be created again. All subsequent generations of unicorns will come from the GEN-0 generation. Furthermore, every purchaser of GEN-0 unicorn has a 30 percent higher chance than in later generations to receive a Legendary unicorn, which will have unique traits. All the lucky users who will randomly get the Legendary unicorn will also receive a special gift from UnicornGo team worth the amount of 10,000 USD! The next stage is the integration of the UnicornGO interface with augmented reality in conjunction with IZETEX, as well as the introduction of mind control technology. The neural interface has already been developed by the BasisNeuro startup. In the next 2 to 4 months UnicornGo specialists in cooperation with a team of creative designers will develop a new gadget which will allow users to control unicorns with the power of thought, providing an incredible experience for everyone and great opportunities for disabled people. And this is only the beginning. Considering the strong support of the community and innovative development, the project has a great future.